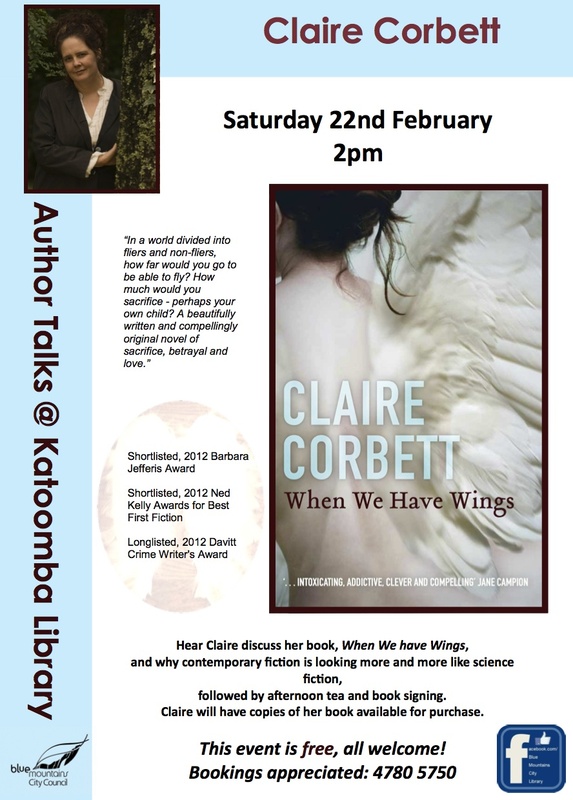 I will be giving an author talk at Katoomba Library at 2pm, Saturday 22 February, followed by free afternoon tea and book signings. The new Katoomba Library at the Cultural Centre is gorgeous, with views to the escarpment. If you’re around it would be great to see you there. Previous PostPrevious So 2014 seems to be shaping up well – residency in upstate New York! Next PostNext Why does contemporary fiction look increasingly like science fiction?